An Act to mobilize the human and financial resources of the Nation to combat poverty in the United States. Very often, a lack of jobs and money is not the cause of poverty, but the symptom. Our aim is not only to relieve the symptoms of poverty but to cure it–and above all, to prevent it. No single piece of legislation, however, is going to suffice. First, to provide jobs and training, especially for those young people now growing up in poverty, and increasingly condemned by lack of economic opportunity to repeat the cycle over again. Second, to begin the process of planning and organizing that will bring the entire resources of a community to bear on the specific problem of breaking up the cycle of poverty in that community. The War on Poverty attacked the roots and consequences of poverty by creating job opportunities, increasing productivity, and enhancing the quality of life. The aim was not to end poverty but to eradicate the principal causes of it. On March 16, 1964, President Johnson called for the act in his Special Message to Congress that presented his proposal for a nationwide war on the sources of poverty. The Economic Opportunity Act of 1964 was passed as a part of LBJ's War on Poverty. Encompassing John F. Kennedy's purpose of the Civil Rights Act of 1964, the Economic Opportunity Act of 1964 was created "to eliminate the paradox of poverty on the midst of plenty in this nation by opening…. To everyone… the opportunity for education and training, the opportunity to work, and the opportunity to live in decency and dignity." In his 1964 Special Message to Congress, President Johnson declared "The Act does not merely expand on old programs or improve what was already being done. It charts a new course. It strikes at the causes of poverty…Not just the consequences of poverty. It can be a milestone in our 180-year search for a better life for your people." In January 1964, President Johnson gave Sargent Shriver the task of developing a bill to wage the war against poverty in the United States. The bill was presented to Congress in March, 1964. It was introduced in the House by Representative Phil M. Landrum, (D Georgia), and in the Senate by Senator Pat McNamara, (D Michigan). In the Senate, the bill was debated for two days and then passed on July 23, 1964, with 61 Senators in favor, 34 opposed. In the House, the Senate-passed bill was debated for four days and passed by a vote of 226 to 185, on August 8, 1964. The debate and voting in both the House and Senate was highly partisan with Republicans questioning states' rights and southern Democrats the racial integration provisions (see Tables below). The Senate adopted the House-passed bill that same day and twelve days later on August 20, 1964, the bill was signed by President Johnson. The Economic Opportunity Act was announced by the president in his first State of the Union Address as the keystone of the war on poverty. 1. The Job Corps provides work, basic education, and training in separate residential centers for young men and young women, from ages sixteen to twenty-one. 2. Neighborhood Youth Corps provides work and training for young men and women, ages sixteen to twenty-one, from impoverished families and neighborhoods. 3. Work Study provides grants to colleges and universities for part-time employment of students from low-income families who need to earn money to pursue their education. 4. Urban and Rural Community Action provides financial and technical assistance to public and private nonprofit agencies for community action programs developed with "maximum feasible participation" of the poor and giving "promise of progress toward elimination of poverty." 5. Adult Basic Education provides grants to state educational agencies for programs of instruction for persons eighteen years and older whose inability to read and write English is an impediment to employment. 6. Voluntary Assistance for Needy Children establishes an information and coordination center to encourage voluntary assistance for deserving and needy children. 7. Loans to Rural Families provides loans not exceeding $2,500 that assist low income rural families in permanently increasing their income. 8. Assistance for Migrant Agricultural Employees provides assistance to state and local governments, public and private nonprofit agencies or individuals in operating programs to assist migratory workers and their families with basic needs. 9. Employment and Investment Incentives provides loans and guarantees, not in excess of $25,000 to a single borrower, for the benefit of very small businesses. 10. Work Experience provides payments for experimental, pilot, and demonstration projects to expand opportunities for work experience and needed training of persons who are unable to support or care for themselves or their families, including persons receiving public assistance. 11. Volunteers in Service to America (VISTA) recruits, selects, trains, and refers volunteers to state or local agencies or private nonprofit organizations to perform duties to combat poverty. The legislation also authorized the Economic Opportunity Council, which led to the launch of smaller independent groups that worked with communities to establish better economic climates. Government took charge for providing a means to provide basic literacy to adults. The idea was not wealth distribution, but to provide poor families with a means to provide for their family to a decent standard of living. One of the main provisions of the act was the federal government's authority to bypass states in sending funds directly to local governments. This was one of the ways the federal government was able to bypass the southern states that did not cooperate with federal law. The act was part of Lyndon Johnson's War on Poverty, which sought to eliminate poverty which President Johnson saw as: "... it's wastage of resources and human lives...." The aim was to bring Americans closer, away from "the outskirts of hope." By 1966, the program was under scrutiny from Republicans. They pointed out the waste and inefficiency in local programs and Nixon pledged to "take the profit out of poverty." LBJ was proud of the progress he had made with the passage of his bill, including 9.1 million acres of forestry that was set for harvest, the creation of Medicare, and funding injected into state schools. Funding that was for his poverty legislation were diverted to The Vietnam War. In 1967, Congress directed the Government Accountability Office, then General Accounting Office, to review anti-poverty programs by the federal government. The conclusion was that programs such as Head Start were effective in providing for children, but the primary objective of parent participation was insufficient. Community Action Programs were behind administratively and underachieved given the amount of money designated. Overall, the GAO determined that the poverty programs were working at the time. The act was essentially repealed under the Ronald Reagan administration in 1981, although much of the main features still remain. The remaining pieces of social legislation are reconfigured and adjusted, such as Head Start, which is now under the U.S. Department of Health and Human Services, Administration for Children and Families, Office of Head Start. The Economic Opportunity Act of 1964 was replaced by The Community Services Block Grant (CSBG) which replaced the funding from direct funding to block grants with over 1200 plus community action agencies. ^ " "The Economic Opportunity Act of 1964". The Economic Opportunity Act of 1964. US Government. Retrieved March 27, 2011. ^ "The Economic Opportunity Act". The Economic Opportunity Act. Retrieved March 29, 2011. ^ "State of the Union Address". Annual Message to the Congress on the State of the Union January 8, 1964. Retrieved April 2, 2011. ^ Capp, Glenn R. (1967). The Great Society A Sourcebook of Speeches. Belmont, CA: Dickenson Publishing Company, Inc. pp. 164–174. ^ Ellis, Jeanine. "A History and Analysis of the Adult Education Act, 1964-1984". A History and Analysis of the Adult Education Act, 1964-1984. ERIC. ^ Pollak, Stephen J. "Major Acts of Congress | Economic Opportunity Act of 1964". Economic Opportunity Act of 1964. eNotes. Retrieved March 28, 2011. ^ Halsall, Paul. "Modern History Sourcebook:President Lyndon B. Johnson: The War on Poverty, March 1964". Proposal for A Nationwide War On The Sources of Poverty'. Internet Modern History Sourcebook. Retrieved March 28, 2011. ^ Landberg, Brian K. "Major Acts of Congress". The Economic Opportunity Act of 1964. McMillan-Thomas Gale. Retrieved March 28, 2011. ^ "Senate Vote #452". Civic Impulse, LLC. Retrieved June 5, 2018. ^ "House Vote #201". Civic Impulse, LLC. August 8, 1964. Retrieved April 2, 2011. ^ Pollak, Stephen J. "Major Acts of Congress: The Economic Opportunity Act of 1964". The Economic Opportunity Act of 1964. eNotes. Retrieved March 27, 2011. ^ Kurian, George T. (1998). A Historical Guide to the U.S. Government. New York: Oxford. p. 367. ^ "History". Department of Community Service and Development. State of California. Retrieved March 27, 2011. ^ Ginsberg, Benjamin (2007). We the People. New York: Norton. p. 92. ^ Spitzer, Robert (2002). Essentials of American Politics. New York: Norton. pp. 68–69. ^ Sarfe, William (2008). Sarfe's Political Dictionary. New York: Oxford. ACTION was a United States government agency described as "the federal domestic volunteer agency". It was formed July 1, 1971, during President Richard Nixon's first term under the provisions of Reorganization Plan Number One, and Executive Order 11603, June 30, 1971, to provide centralized coordination and administration of Government-sponsored domestic and international volunteer agencies. Active Corps of Executives (ACE), established August 1969.ACTION's responsibility for SCORE and ACE terminated in 1976. In addition, the Senior Companions program was established in ACTION in 1973. Foster Grandparents, RSVP, and Senior Companions were later merged into the Senior Corps.The Peace Corps was separated from ACTION in 1982. The NSVP was redesignated National Center for Service Learning in 1980, and terminated and superseded by Student Community Service Projects in 1987. ACTION's functions, and the Commission on National and Community Service, were ordered transferred to the newly established Corporation for National and Community Service (CNCS) no later than March 22, 1995, by Section 203 of the National and Community Service Trust Act of 1993 (107 Stat. 892), September 21, 1993. AmeriCorps, which includes VISTA, and Senior Corps are programs of the CNCS. ACTION was abolished by Presidential Proclamation 6662, April 4, 1994 (3 CFR, 1994 ed., 22). See 362.1. The Architectural Barriers Act of 1968 ("ABA", Pub.L. 90–480, 82 Stat. 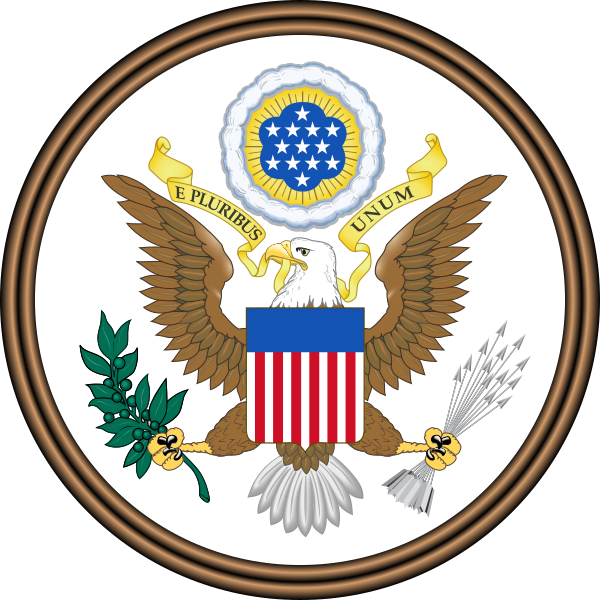 718, enacted August 12, 1968, codified at 42 U.S.C. § 4151 et seq.) is an Act of Congress, enacted by President Lyndon B. Johnson. The ABA requires that facilities designed, built, altered, or leased with funds supplied by the United States Federal Government be accessible to the public. For example, it mandates provision of disabled-access toilet facilities in such buildings. The ABA marks one of the first efforts to ensure that certain federally funded buildings and facilities are designed and constructed to be accessible to people with disabilities. Facilities that predate the law generally are not covered, but alterations or leases undertaken after the law took effect can trigger coverage. Uniform standards for the design, construction and alteration of buildings so that persons with disabilities will have ready access to and use of them. These Uniform Federal Accessibility Standards (UFAS) are developed and maintained by an Access Board and serve as the basis for the standards used to enforce the law. The Board enforces the ABA by investigating complaints concerning particular facilities. Four Federal agencies are responsible for the setting the standards: the Department of Defense, the Department of Housing and Urban Development, the General Services Administration, and the U.S. Postal Service. These federal agencies are responsible for ensuring compliance with UFAS when funding the design, construction, alteration, or leasing of facilities. Some departments have, as a matter of policy, also required compliance with the Americans with Disabilities Act accessibility guidelines (which otherwise do not apply to the Federal sector) in addition to UFAS. CAAs are intended to promote self-sufficiency, and they depend heavily on volunteer work, especially from the low-income community. The Community Services Block Grant (CSBG) is the agencies' core federal funding. Agencies also operate a variety of grants that come from federal, state and local sources. These grants vary widely among agencies, although most CAAs operate Head Start programs, which focus on early child development. Other programs frequently administered by Community Action Agencies include Low-Income Home Energy Assistance (LIHEAP) utility grants and Weatherization Assistance Program (WAP) funded through the U.S. Department of Energy (DOE). Each CAA is governed by a board of directors consisting of at least one-third low-income community members, one-third public officials, and up to one-third private sector leaders. This board structure is defined by federal statute and is known as a tripartite board.There are currently over 1,000 CAAs, engaged in a broad range of activities; typical activities include promoting citizen participation, providing utility bill assistance and home weatherization for low-income individuals, administration of Head Start pre-school programs, job training, operating food pantries, and coordinating community initiatives. The Food Stamp Act (P.L. 88-525) provided permanent legislative authority to the Food Stamp Program, which had been administratively implemented on a pilot basis in 1962. On August 31, 1964 it was signed into law by President Lyndon B. Johnson. It was later replaced and completely rewritten and revised by the food stamp provisions of the Food and Agriculture Act of 1977 (P.L. 95-113, Title XIII; 7 U.S.C. 2011 et seq. ), which eliminated the purchase requirement and simplified eligibility requirements. Amendments were made to this Act in 1981-82, 1984-85, 1988, 1990, 1994, 1996, 1997, 1998 and 2002 (most recently by Title IV of the 2002 farm bill (P.L. 107-171, Sec. 4101-4126). As of 2005, the current Food Stamp Act (7 U.S.C. 2011 et seq.) includes authority through FY2007 for the regular Food Stamp Program, for Nutrition Assistance Grants to Puerto Rico and American Samoa (in lieu of food stamps), for Food Distribution Program on Indian Reservations, and for commodity purchases for the Temporary Emergency Food Assistance Program. Joseph Wilson Baines (January 24, 1846 – November 18, 1906) was Secretary of State of Texas and a member of the Texas state legislature.Baines was born in Mount Lebanon, Louisiana but his family moved to Anderson, Texas when he was four. He was a son of George W. Baines. He studied at Baylor University. In 1867 he moved to Collin County, Texas where he studied law under James W. Throckmorton. Baines was involved as owner and publisher of multiple papers in McKinney, Texas. From 1883-1887 Baines was the Secretary of State of Texas. Later starting in 1903 he served one term in the Texas House of Representatives, being succeeded by his future son-in-law Samuel Ealy Johnson Jr.Baines married Ruth Ament Huffman of Collin County in 1896. Both are buried at Der Stadt Friedhof in Fredericksburg, Texas. They were the parents of Rebekah Baines Johnson, and the maternal grandparents of Lyndon B. Johnson. The Mighty Liberators Drum and Bugle Corps were a Class A (now Open Class) competitive junior drum and bugle corps. Based in Rochester, New York, the Mighty Liberators performed in Drum Corps International (DCI) competitions. Phillip Mitchell Landrum (September 10, 1907 – November 19, 1990) was a Democratic U.S. Representative from Georgia. Born in Martin, Georgia, Landrum attended the public schools and Mercer University, in Macon, Georgia. He graduated from Piedmont College, in Demorest, Georgia (A.B., 1939) and from the Atlanta Law School (LL.B., 1941). While in college and law school, Landrum worked as Superintendent of Nelson (Georgia) High School (1937–1941). He was admitted to the bar in 1941 and commenced the practice of law in Canton, Georgia. He was an unsuccessful candidate for Congress in 1942. During the Second World War, Landrum enlisted as a private in the United States Army Air Corps on October 2, 1942. He served in Europe and was discharged on June 1, 1945, as a first lieutenant. After his discharge from the military, Landrum was briefly employed by the Veterans' Administration. He then served as assistant attorney general of the State of Georgia in 1946-1947, and as Executive secretary to Governor Melvin E. Thompson in 1947-1948. He returned to the practice of law in Jasper, Georgia until he was elected as a Democrat to the Eighty-third and to the eleven succeeding Congresses (January 3, 1953 – January 3, 1977). While he easily won twelve general elections, he faced strong opposition in several primary elections, including from a young Zell Miller in 1964 and 1966. Landrum was one of the primary sponsors of the Labor Management Reporting and Disclosure Act, also known as the Landrum-Griffin Act. He was also the author of the Economic Opportunity Act of 1964, one of the key pieces of legislation of President Lyndon Johnson's War on Poverty.A staunch segregationist, in 1956, Landrum signed "The Southern Manifesto." Interstate 575 is named in his honor. Red Rock Job Corps Center is a Job Corps training center in Colley Township, Sullivan County, Pennsylvania, USA. Like all Job Corps centers, it provides vocational training and education at no cost to participants, who are 16 to 24 years old. The center opened in 1978 and uses the buildings of the former Benton Air Force Station, a Cold War radar facility which operated from 1951 to 1975. Red Rock is on Pennsylvania Route 487 (PA 487) within Ricketts Glen State Park, and is still the site of a Federal Aviation Administration (FAA) radar used for Wilkes-Barre/Scranton International Airport. The Red Rock Job Corps Center has been recognized as one of the top Job Corps centers in the nation. Samuel Houston Johnson (January 31, 1914 – December 11, 1978) was an American businessman. He was the younger brother of President Lyndon B. Johnson. Timeline of Latino civil rights in the United States. The United States Senate Committee on Health, Education, Labor and Pensions (HELP) generally considers matters relating to these issues. Its jurisdiction extends beyond these issues to include several more specific areas, as defined by Senate rules. While currently known as the HELP Committee, the first iteration of this committee was founded on January 28, 1869 as the Committee on Education. The committee name was changed to the Committee on Education and Labor on February 14, 1870, when petitions relating to labor were added to their jurisdiction from the Committee on Naval Affairs. The committee’s jurisdiction at the end of the 19th and early 20th centuries focused on issues relating to federal employees’ working conditions and federal education aid. Prominent issues considered by the committee in the 1910s and 1920s included the creation of a minimum wage, the establishments of a Department of Labor, a Department of Education, and a Children’s Bureau. During the 1930s, the committee took action on the National Labor Relations Act, the Walsh-Healey Public Contracts Act of 1936 and the Fair Labor Standards Act of 1938. In 1944, the jurisdiction of the Public Health Service was transferred from the Commerce Committee over to the Committee on Education and Labor, resulting in the committee taking over issues relating to public health matters. The name of the committee changed during the 80th Congress to the Committee on Labor and Public Welfare, which was part of the Legislative Reorganization Act of 1946 (Public Law 79-601). As part of this bill, the jurisdiction of the committee was expanded to include the issues of rehabilitation, health, and education of veterans. Mine safety legislation was also added to the committee’s jurisdiction in 1949. During the Johnson Administration, the committee established itself as the principal committee for the legislation pertaining to the War on Poverty, as part of the Economic Opportunity Act of 1964. Through the Legislative Reorganization Act of 1970 (Public Law 91-510), certain issues pertaining to veterans were transferred to the newly created Committee on Veterans Affairs. In the 95th Congress, the Senate passed S. Res. 4 which renamed the committee to be the Committee on Human Resources. However, the name was again changed in the 96th Congress in S. Res. 30 to become the Committee on Labor and Human Resources. On March 18, 1992, the committee’s jurisdiction was updated to include all of the areas listed below. The current name of the Committee, the Committee on Health, Education, Labor and Pensions, was created on January 19, 1999 in S. Res. 20. Upward Bound is a federally funded educational program within the United States. The program is one of a cluster of programs now referred to as TRiO, all of which owe their existence to the federal Economic Opportunity Act of 1964 (the War on Poverty Program) and the Higher Education Act of 1965. Upward Bound programs are implemented and monitored by the United States Department of Education. The goal of Upward Bound is to provide certain categories of high school students better opportunities for attending college. The categories of greatest concern are those with low income, those with parents who did not attend college, and those living in rural areas. The program works through individual grants, each of which covers a restricted geographic area and provides services to approximately 59,000 students annually. The program focuses on academic and nonacademic resources and activities like visits to museums or tutoring for school work. Students are encouraged to be involved in Upward Bound for the entire academic year and a 6-week long summer program. Many students who are also granted access into the Upward Bound program are labeled as first generation college students, who are students that are the first in their family to attend college. This program is set in place for students who come from low income families as well as underrepresented schools and gives them an opportunity to excel in college.